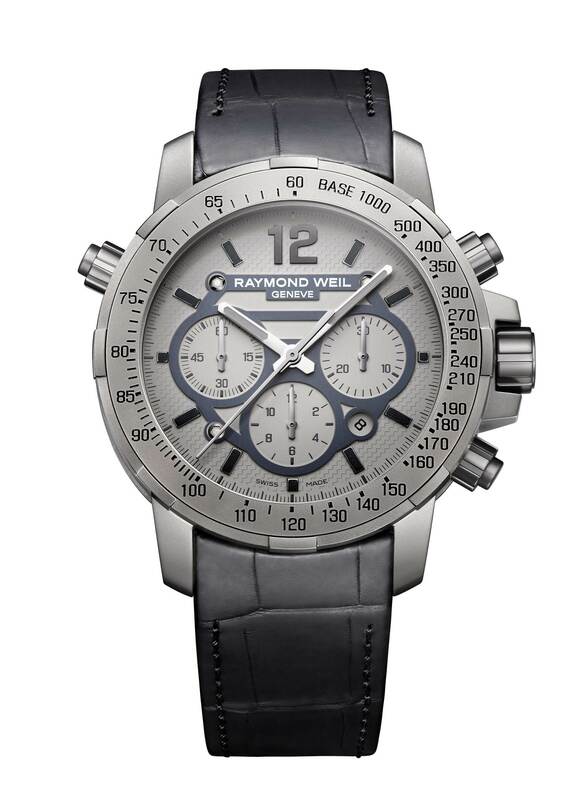 The RAYMOND WEIL nabucco range, renowned for its stylish design, now boasts a new addition in titanium. 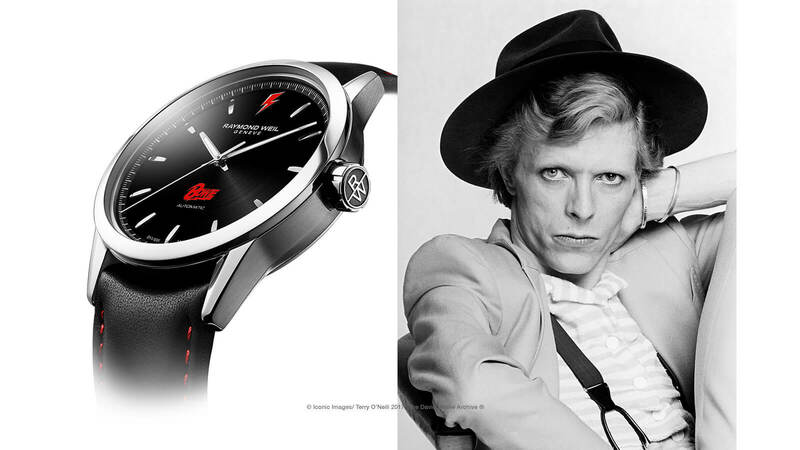 The new timepiece’s mature elegance, retaining all of the collection’s powerful architecture showcased in grey-grained graphite, remains true to the collection’s creative values and mythical forms. The nabucco Va, Pensiero – named after the famous Verdi chorus – exudes the same power and nobility as the great Italian composer’s opera. 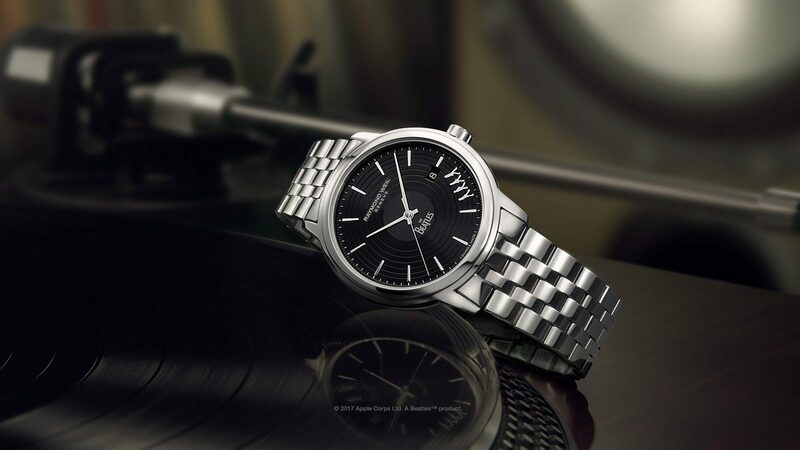 Its sophisticated materials, watchmaking precision and alluring design evoke an urban, revolutionary world, making this new timepiece a symbol of freedom and independence. With its sober 46mm-diameter case, and round bezel with tachometric scale set into the titanium, it is exceptionally resilient and water-resistant. Three subdials (30 minutes at 3 o’clock, 12 hours at 6 and small seconds at 9), along with a date-window at 4:30, are set in grey on a central zone featuring three screws for optimal time-reading, and harmoniously integrated indexes highlighted in luminiscent anthracite. 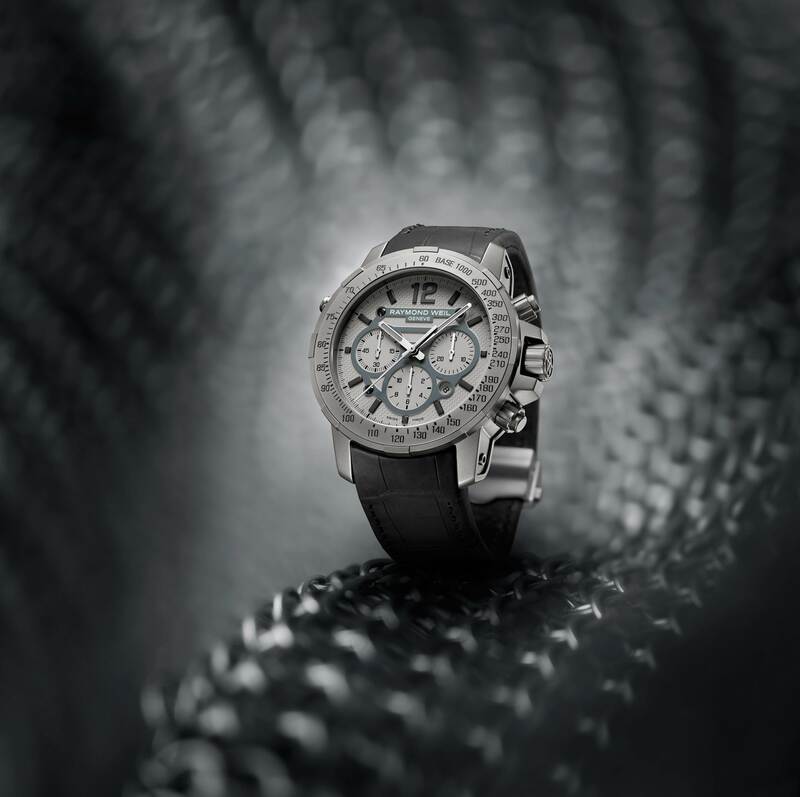 The aesthetics of the nabucco Va, Pensiero again reflect RAYMOND WEIL’s watches gift for audacious design, while its mechanical prowess will delight connoisseurs of luxury watchmaking: an ETA 7753 tri-compax movement, with automatic winding and 28,800 vibrations per hour, ensures the precision and reliability of this masculine chronograph which, with its screwed-down push-pieces, crown and case-back, is waterproof to a depth of 660ft (20 bars/atm). The timepiece’s elegant design is underscored by a saddle-stitched crocodylus niloticus leather strap with double push-piece security. Stylish, powerful and elegant… let the nabucco Va, Pensiero spirit you away on the wings of freedom!